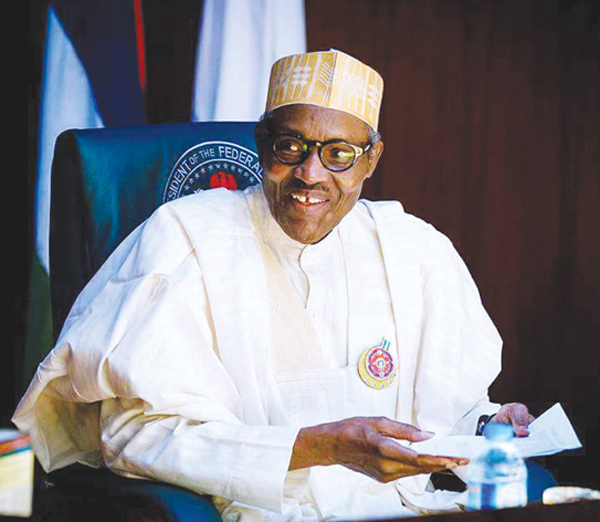 Speaking at an event organised by â€˜Speak Up Nigeria,â€™ a pro-Buhari civic group that is harvesting peopleâ€™s opinions of the administration, beneficiaries of the governmentâ€™s various peogrammes took turns to commend the president and seek support for his second term bid. Alhaji Risikat Agbeyangi, a pepper seller and beneficiary of Trader Moni at the popular Ipata market, hailed Buhari for bringing governance directly to the poor. â€œWe thank the president for his support to us; it was timely and met our personal and business needs, some of us expanded our business with it,â€ she said. Balogun Kabir, a benefiary of N-Power Health, said the programme was a great boost for public health at the grassroots as masses now have direct access to tips on basic health issues. Jimba Abioye Yahya, a beneficiary of the N-Teach and resident of Magaji Ngeri of Ilorin west, thanked Buhari for the employment opportunity. â€œI want to advice Nigerian youths to vote Buhari and Pastor Yemi Osinbajo, who saw us as productive elements in the nation and not just instruments of political violence. I am grateful for the employment opportunity they gave me and my fellow Nigerian Youths,â€ he said. â€œPresident Buhari has employed over 500,000 youths through the N-Power programme. I am a trained teacher lying idle before Buhari came, but he gave me the opportunity of practicing and making a living out of what I know and have passion for, teaching. I want PMB to continue beyond 2019,â€ he said. â€œI beg the Nigerian youths to see voting Buhari again as opportunity to a better Nigeria as we canâ€™t afford going back to the bad old days,â€ she added.